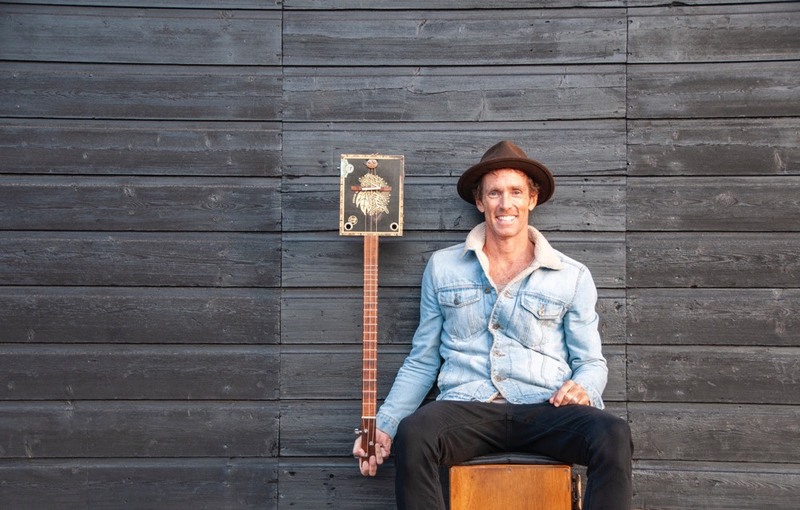 Juzzie Smith is a talented One-man band, based in Byron Bay Australia. Juzzie’s unique style is bluesy/folk mixed into a groove of its own. 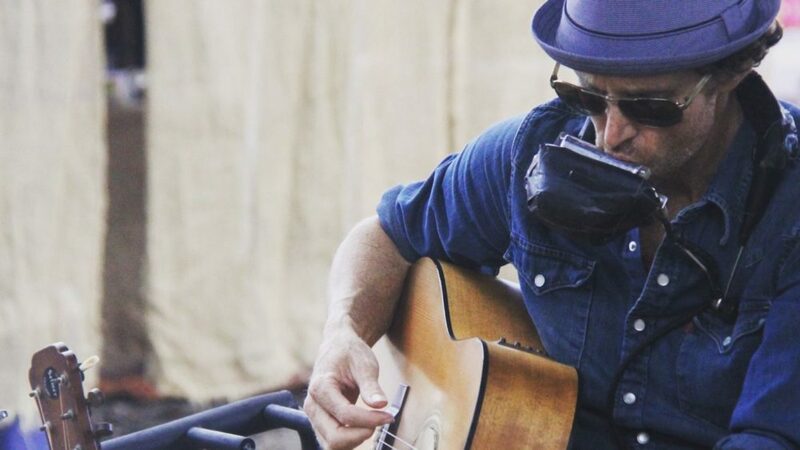 Marked by an amazing ability to play up to six instruments at once combining the Guitar, harmonica and juggling percussion. Juzzie Smith has had the honour of performing to both international and national crowds from Byron Bay Blues Festival to Edinburgh Fringe Festival, sharing his raw warm vocals with a simple message of loving life. With over 120 million views on social media and topping the blues iTunes charts around the world Juzzie Smith is an act you won’t want to miss. Obviously, the crowd at Splashy is gonna be your new favourite stop, but up until now… where’s your ‘standout’ show been? Splashy sure is going to be a standout. Can’t wait. My favourite standout show is tricky as there are so many. I had this one moment I was playing in the UK in a small hall totally packed with no room to move. The crowd was so connected to the music and I felt like we all were just buzzing with joy. Then the sun beamed through this high window like a spotlight on me. Felt like I was in the blues brothers movie. Your music, who inspired you to get it all going & what keeps you driven today? My one-man band started when I became a father 15 years ago. I was listening to Moby and how he used the repetition of blues samples with a big beat. I then tried this life on the streets with my roots approach. Was a success and I sold out of CDs every time I played live. Having fun and learning new songs will keep me inspired to the day I stop breathing. You surf, rate if you weren’t a musician you could have cracked a pro surfing gig? If I wasn’t a musician I would probably be mowing lawns after a surf each day. I could have a crack at the section in surf films where the surfer gets the biggest wipeout or the most stylish over the falls. Surfing scene in AUS is massive, experienced any rough vibes out in the line-up? I’m a very chilled surfer. I get as much pleasure watching someone get a wave as I do catching it. I’ll say G’day to most people. Even hoot them onto a wave. If I feel an aggressive vibe I’ll just find a different peak. As an artist you must experience bouts of ‘writer’s block’, do you find if you paddle out in those times it gets your brain firing again? Surfing is my medicine to coming back to me. Usually before recording my friend and I will catch some waves grab a coffee and then make some tunes. Favourite break local and international? Lennox Head is a super fun wave. I’ve nearly drowned out there twice and your feet get lots of cuts getting in and out though. Best thing to put back after a good session out on the waves? I usually kick back with a friend in a cafe. Have a long black and talk surfing, music or relationship obstacles. Worst abuse you ever got as a young grom? I was cheeky to one of my big brother’s friends on the beach so he pulled my pants off and ran away with them. I was a bit embarrassed as there was a girl there I really liked. Taught me a good lesson to not be cheeky to the elders. We’re super amped you’re coming to South Africa. Is this your first time here? Why Splashy Fen? I’m super blown away that I’m going to play in South Africa. First time and hopefully the first of many. There is a great guy named Stu who invited me to Slashy Fen. I look forward to meeting him.